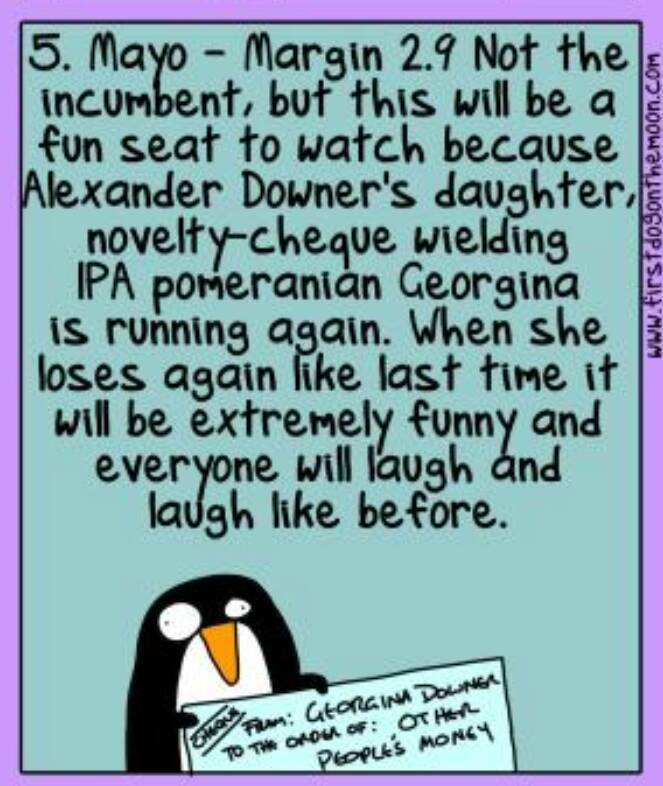 Mayo is my neighbouring electorate is held by Rebekah Sharkie for them and she's up against son of a gun Georgie Downer, who she's already trounced in a by-election. 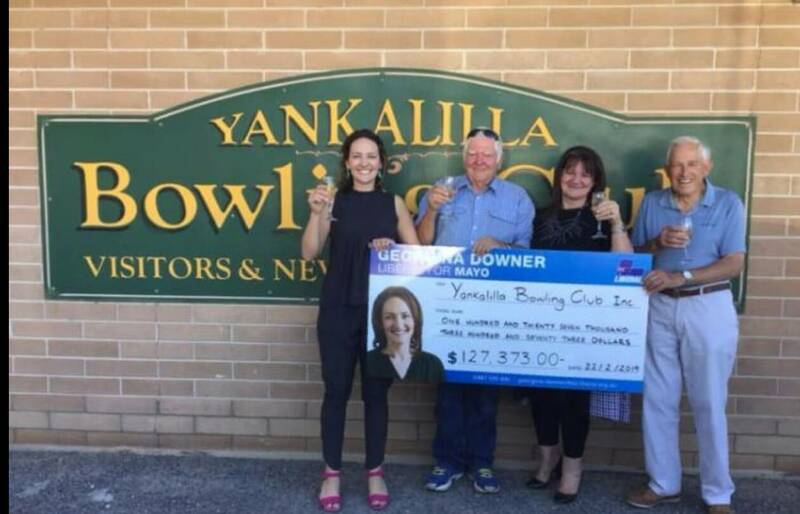 Here she is handing over a cheque with her face on it for loads in an electorate she doesn't represent. Last edited by Magicziggy; 12th April 2019 at 09:23 AM. Queensland, please explain Peter Dutton to me.